This monthly social event with Italians and South Africans has become a must in Cape Town. It is the best way to meet new people, to speak Italian, to share anything about Italy and to have a good time. 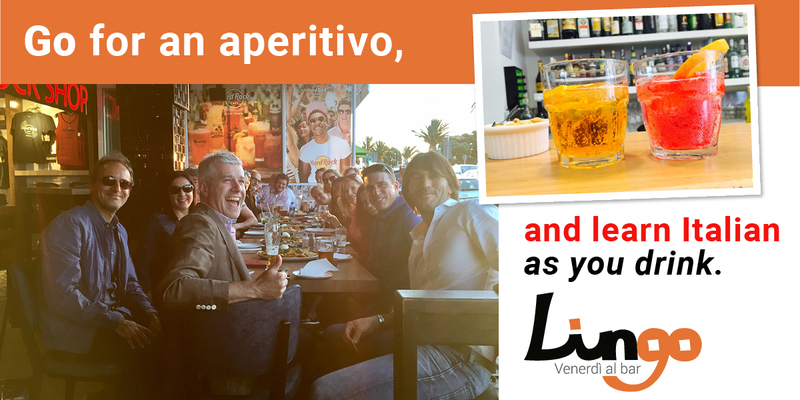 We meet very first Friday of the month from 18h30 at a local Italian bar/restaurant. The restaurant hosting the event offers some snacks on the house to welcome us all and guests pay for their own drinks and dinner if they wish to stay. Contact us for location. No need to book, just turn up.